Did you know that we know more about outer space than we do about the ocean? Only 5% of the ocean has been explored or even seen by human eyes. That’s probably what makes diving such an attractive experience; you get to see a small part of the great unknown. 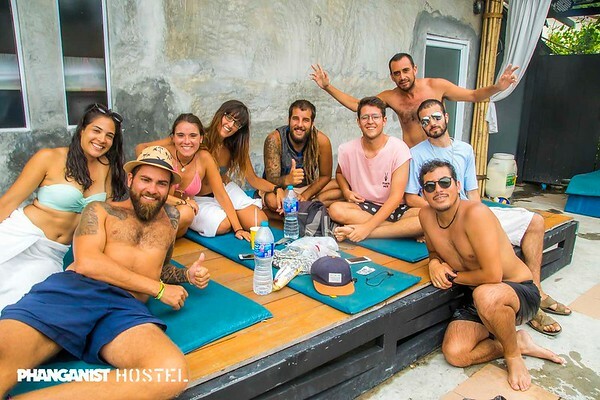 So let us tell you about our first ‘astronaut’ experience on Koh Phangan. Koh Phangan is located in the Gulf of Thailand, a body of water partly sheltered from the Pacific Ocean by the South Sea of China. What does this mean? Basically that you’ll find amazing school of fish and pretty quiet currents. This allows divers of all levels of expertise to enjoy it. 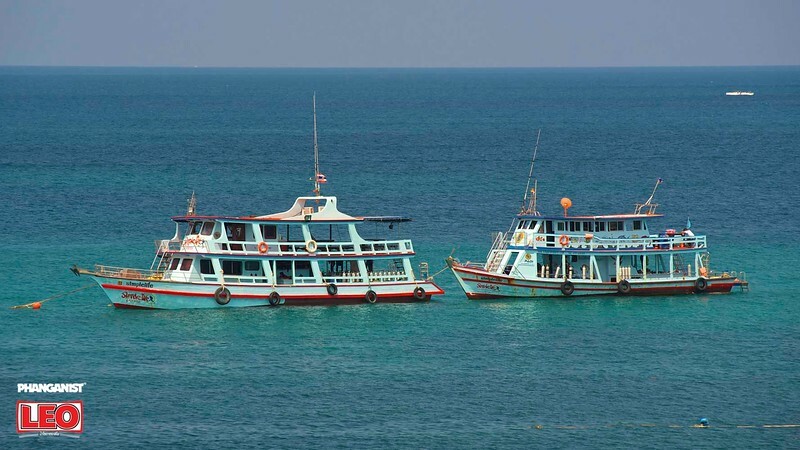 As a result, numerous divers from all over the world come here every year and Koh Phangan is one of the most popular islands in the diving environment. The spot that draws all this attention is Sail Rock. 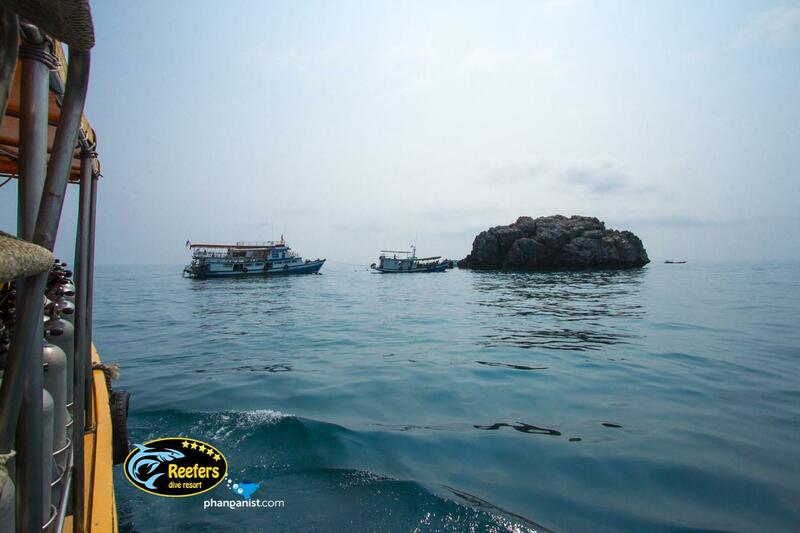 Located between Koh Phangan and Koh Tao, Sail Rock offers a visibility of 10 to 30 meters in a depth of between 5 and 30 meters. The walls of the rock are covered in sponge, oysters and clams. The wide range of species that visit the area include whale sharks, barracudas and turtles. They picked us up at 7 a.m. and took us to our first stop where we read all the safety information we needed to know, they prepare the equipment and just cheer everybody to make us forget we’re actually up at seven in the morning. After a 1-hour boat ride we arrived at the rock, we put the equipment on and had a last safety talk. Finally, after a few seconds of terror and several “why are we doing this, again?” we jumped in the water. That’s when the fun started. Since we were beginners, and pretty scared ones, the whole process was super slow and quiet. The hardest part is learning to control your breathing, but once we managed that it was like yoga underwater. You have to be really aware of your breath and your body position while still connecting to everything around you. Looking up you see the surface and realize how deep you are, but then you look down and notice just how deep it goes and how vast the ocean is. It’s such a relaxing experience that when we got back on the boat we couldn’t wait to jump into the water again. It doesn’t matter if you want to try just one time or you feel like going professional, I strongly recommend experiencing diving at least one time in your life. If you try it and don’t like it at least you’ll know for sure it’s not for you; but if you do like it, which is the most probable outcome, I can assure you you’ll remember it as one of the best experiences of your life. Phanganist offer a range of dives, from certified Divers Fun Dive to Beginners Discover Scuba Diving. On request we also have private instructors for your convience and safety feeling! Have a look at all our Dive offers in our Best Deals HERE or just write to us in the below form and we will assist you in arranging the best dive for you and your friends!! 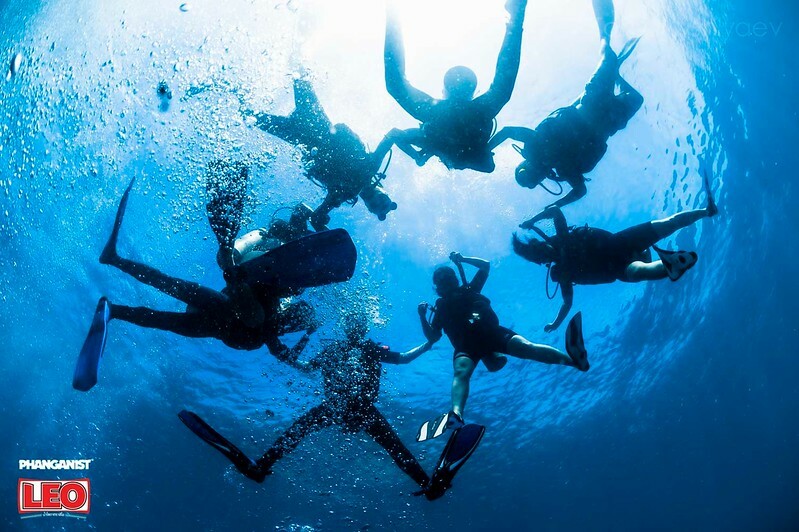 Write to us if you are interested in a Fun Dive or a Beginners Dive!